Organ transplantation in China has been marred by a history of unethical abuse and numerous attempts by the government to conceal and distort the facts. Between 1999 and 2004, the number of transplants in China increased by 300 percent, despite the absence of a voluntary donation system. After repeated denials by government officials, China’s then-Minister of Health Huang Jiefu admitted in 2005 that 90% of organs indeed came from executed prisoners. The use of prisoners’ organs for transplantation was made legal in China by a 1984 regulation, though widely condemned as unethical by international medical organizations. In the wake of the original 2006 Matas and Kilgour report describing prisoners of conscience as China’s primary organ source, the regime reportedly outlawed the sale of organs and the Chinese Medical Association vowed to stop using organs from any person in custody. Neither statement was followed by any new legal action. The China Organ Transplant Response System (COTRS) was launched in 2013 as the national organ donation program and distribution system. However, despite officials repeatedly claiming otherwise, COTRS violates World Health Organization (WHO) Guiding Principle of organ donation being “unpaid and truly voluntary,” assignificant financial incentives are offered to potential donors and their families. Moreover, COTRS was touted as the initial step towards phasing out the use of illicit organ sources, including executed prisoners. The 2013 Hangzhou resolution stipulated an end to the use of prisoners’ organs, yetno legal or political changes were enacted. After escalating international pressure, Chinese officials finally guaranteed a ban on the use of prisoner organs effective January 1, 2015. This was widely reported and accepted as fact by international medical organizations, despite any corresponding law or provision for such a ban ever being presented or found. On the contrary, Chinese officials claimed that if prisoners gave their consent, their organs could be entered into COTRS and classified as voluntary organ donations from ordinary citizens. Despite China’s highly unethical reclassification of prisoners as voluntary donors, the2016 Transplant Society’s (TTS) Congress was held in Hong Kong, an event widely used to bolster China’s unsubstantiated claims of respectable progress. Two months later, the 2016 China International Organ Donation Conference was held in Beijing with the support of both WHO and TTS. China’s alleged reforms were praised, even though critical inquiry into discrepant data was disallowed, and only sanitized conditions in pre-selected hospitals were provided for inspection. China’s recent invitation to the Pontifical Academy of Sciences summit on organ trafficking was again widely touted by Chinese media as demonstration of global acceptance of its transplant system. In Rome, Chinese officials offered a scant presentation to allay concerns about their practices, dismissing serious allegations with a one-word “nonsense” retort, despite the breadth of research and voluminous data suggesting otherwise. China’s statistic of 27,600 liver and kidney transplants between 2010 and 2016 was accepted as fact by the WHO without independent verification or acknowledgement of the data being grossly at odds with figures derived directly from Chinese sources in the updated 2016 Kilgour, Gutmann and Matas report. 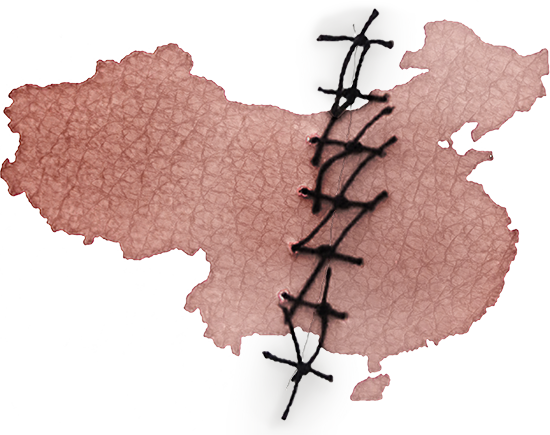 Over the past year, Chinese media has continued to obfuscate the reality of the organ transplantation industry in China. Officials in China say legislation and law enforcement are keys to resolving transplant abuse, yet no new legislation has been forthcoming. Notwithstanding a deeply entrenched cultural aversion to organ donation, which has resulted in a paucity of voluntary donations, official reports suddenly say that 83 percent of the Chinese people are now willing to donate organs. Officials claim people are just waiting for less complicated enrollment procedures and predict China will overtake the United States in number of donors in just a few years. Chinese officials and media have announced plans for a significant expansion of transplant capability over the next five years with the construction of more hospitals and the training of more surgeons. They claim the limitations on the number of transplant surgeries performed are due to a shortage of qualified hospitals and surgeons, not a shortage of donor organs. Media reports, however, confirm the 2016 Kilgour, Gutmann and Matas research disclosing the explosive growth of China’s transplant industry . Despite China’s unfulfilled promises of reform, unverifiable transplant data, and admission of ongoing use of prisoner organs, their smokescreen façade has been effective in hoodwinking those who never address the obvious, burning question: where do all the organs come from? During the last year Chinese state-run media have published a growing number of reports promulgating the nation’s improvements in its transplantation practices and procedures. A crack down on organ trafficking has been used as an example of ethical compliance. Much praise has been heaped upon the nation’s relatively new voluntary organ donation system, first set up as a pilot program in 2010* and formalized as a countrywide system in 2013* by the Chinese Red Cross and the former Vice-Minister of Health Huang Jiefu. As the Chinese government has acknowledged, organ donation has historically been severely limited due to strongly held cultural beliefs that the body must remain intact after death.In the first year of the donation program only 34 people donated, said Hao Lin’na, deputy chairwoman of the Red Cross Society of China. Yet according to Chinese media, voluntary donation suddenly shot up dramatically over the last two years. Since sourcing organs from executed prisoners was ostensibly banned in January of 2015, state controlled media reports from the Xinhua News Agency and China Daily have boasted of the success of China’s voluntary donation program. During the same month, China Daily reported that “public understanding of organ donations and support has significantly improved over the years, and the number of people registering for organ donation is also on the rise. So far, about three in every 1 million people have registered.” The article adds: “A total of 4,080 organ donations were made in 2016, with 11,296 organs being donated, an increase of 47.5 percent over 2015.” Although this report offers quite different figures than the Xinhua report, the numbers are still surprisingly high, considering how few people donated in the first year of the program. There is no specific information on how the regime has been able to garner such a high number of volunteers in such a short time span. Reports attribute the increase in voluntary donation in large part to Alipay, an online payment platform launched in December by Huang’s foundation, the Human Organ Donation and Transplant Committee, and supported by the National Health and Family Planning Commission.In March, Xinhua reported that Alipay had 450 million users. Comments from Chinese officials are often vague and allusive. Wang Pei’an, deputy minister of the National Health and Family Planning Commission, said last year that China will continue to build its voluntary organ donation system by using “Chinese methods.” Such statements should raise questions about the methodology used. There is no evidence to support either this statement or many other statements made by China. On the contrary, there is substantial evidence from investigations over the last decade that China’s primary organ source has been and continues to be living prisoners of conscience. 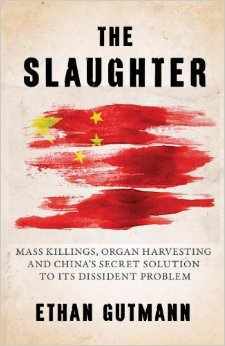 It seems no coincidence that there has been an increase in Chinese media reports hailing the achievements of its transplantation practices at the same time that an extensive 680 page report was published by Kilgour, Gutmann and Matas detailing China’s unethical organ procurement practices. Of grave concern is the power and influence Chinese state-run media seems to wield over the international transplantation community and the general public. Over the last year, comments made by individuals outside of China have applauded China’s reports of change, despite the existence of conflicting evidence and the absence of confirmatory facts. It is tempting to believe that China is complying with internationally accepted ethical standards. No one wants to believe that doctors could kill for profit, but the evidence indicates otherwise. The facts can no longer be ignored. Inconsistent numbers and encouraging remarks are meaningless without proof. We must demand transparency from China. Innocent lives are at risk and the integrity of transplant medicine is in serious jeopardy. *Correction: Error of two dates in the newsletter sent on April 30 have been corrected here. This editorial succinctly highlights the inadequacies and inconsistencies surrounding China’s organ sourcing and procurement procedures, the incongruity between what China says and what it does and the lack of attention given the substantial evidence of extralegal organ harvesting from prisoners of conscience by those who espouse engagement with China’s transplantation community. Leaders of international transplant societies act like ostriches with their heads buried deep in the sand of deceit and denial. China’s transplant registries are unavailable for independent scrutiny. Actual transplant numbers far exceed officially reported numbers. Lucrative transplant tourism continues unabated. China’s claims of reform remain unverified. There must be full accountability and transparency of China’s organ procurement procedures. The international medical community should immediately disengage from their Chinese counterparts to avoid complicity in criminal acts. All governments should criminalize transplant tourism and forbid training of Chinese transplant professionals. China must provide concrete proof of its alleged reforms. Those persons who have participated in forced organ harvesting from living prisoners of conscience must be brought to justice. DAFOH members Norbert W. Paul, Arthur Caplan, Michael E. Shapiro, Charl Els, Kirk C. Allison and Huige Li examine the ethical ramifications of human rights violations in China’s organ procurement procedures. For decades, China has been the only country in the world that systematically sources organs for transplantation from executed prisoners, in violation of internationally agreed upon and universally accepted medical ethics. Unfortunately, this severe abuse of basic human rights is fueled, in part, by the emergence of an ever-growing global demand for transplantable organs. The authors cite a 2001 case study published in the Henan Medical Research journal, which describes the removal of a donor heart after “delivery of cold cardioplegia to the heart through the aortic root until the heart stopped beating.” Throughout the world, this procedure is used only on brain dead donors. But, no clinical criteria or guidelines existed in China with which to pronounce patients brain dead until 2003, a full two years later. The transplant surgeon’s explantation of a still beating donor heart in 2001 was most likely an act of murder. China’s callousness and disregard for human life is astonishingly unapologetic. To this day, no brain death legislation exists in China. Circulatory death remains the legal standard as China still lacks any state issued official standard clinical guidelines to diagnose brain death. Those responsible for and involved in China’s unethical practice of organ procurement by organ explantation from living human beings must be prosecuted. The procuring of vital organs from the living to sell for profit must stop immediately and be made illegal. Greater influence on the judicial, medical and military systems entangled in the transplantation industry in China must be exerted by international governments, institutions and medical organizations in order to effect real change. O n April 25th the PA House of Representatives unanimously passed H. Res. 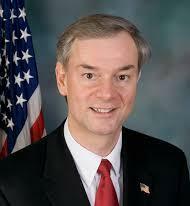 27, “encouraging the medical community of this Commonwealth to help raise awareness of unethical organ transplant practices in China.” Matthew Baker , Chairman of the House Health Committee, has been the main sponsor of both Pennsylvania resolutions against organ harvesting, the first being H. Res. 1052 passed in October 2014. The bill demands criminal penalties for Canadians or foreigners who “knowingly acquire or trade in human organs that have been removed without donor consent or for financial gain.” It also amends the Immigration and Refugee Protection Act to make those who engage in organ trafficking ineligible to enter Canada. In a report submitted to the UK FAC, DAFOH detailed the enormous increase in transplants in China from 1999 to 2004, the inexplicable medical exams in Chinese detention camps, the implausible growth of China’s officially reported organ donation numbers and the discrepancy between those numbers and other transplant infrastructure parameters. 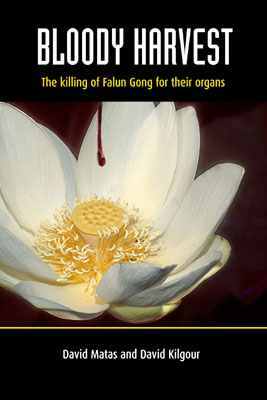 DAFOH estimated in March 2016 that at least 150,000 Falun Gong practitioners had been killed for their organs, drawing from evidence gathered before the update “Bloody Harvest/The Slaughter” released an estimate of up to 1.5 million. Organ transplantation has been on China’s National Five-Year Plan since 2001. Data collected from Chinese sources of transplant surgery volumes, transplant staff numbers, hospital bed utilization rates, medical publications and immunosuppressive drug purchases indicate one transplant center alone capable of performing 5,000 transplants annually. Government controlled media has detailed the existence of a massive and growing transplant industry. For 17 years, the Chinese government, state institutions, hospitals and transplant professionals have been generating immense profits by pillaging organs from Falun Gong, Tibetans, Uyghurs and House Christians. Christian leaders have warned that forced organ harvesting represents the darkest side of technocratic society where human life has no value. In an interview with Dr. Charles Lee, Lifezette reporter reviews core facts regarding the connection between forced organ harvesting of Falun Gong practitioners and the boom in China’s transplant industry. The article also raises issues regarding direct and indirect partnerships between China and the United States. A panel discussion at American University detailed China’s human rights violations against religious believers and political activists. China was described as a brutal and oppressive dictatorship that is a “nightmare for ethnic minorities.” Many Americans have no idea the extreme control over information exerted by the Chinese government’s propaganda apparatus. China Aid’s 2016 Persecution Report presented findings that Christians in China are being increasingly persecuted, imprisoned and even killed so their organs can be forcibly harvested for transplant. 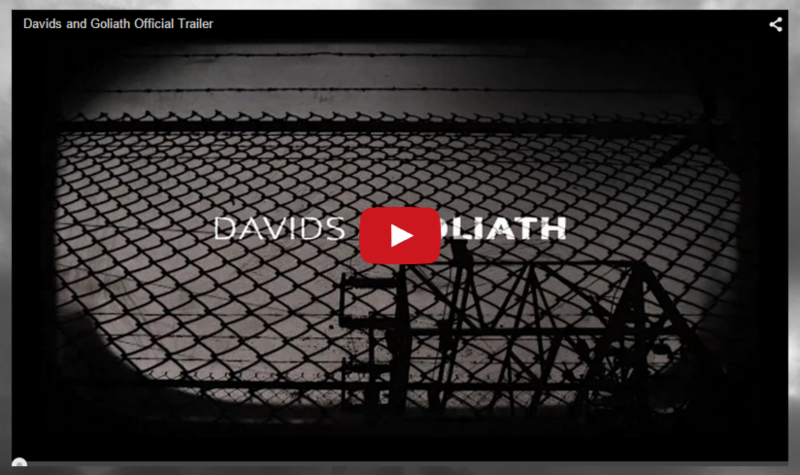 Former Israel Transplantation Society president Dr. Jacob Lavee and independent investigator Matthew Robertson detail evidence of China’s organ harvesting crimes. Untrustworthy transplant figures, conflicting official statements on donation rates, transplant volumes that far surpass reported donations and the unexplained booming growth of the transplant industry despite low voluntary donation rates and a decline in executions lead to the inescapable conclusion that prisoners of conscience are China’s primary organ source. Evidence based medicine is the mantra of modern clinical practice. Treatments found to have objective evidence of efficacy are lauded while those based on hearsay and habit are condemned.Examine the evidence regarding China’s organ transplant practices. Read the 2016 Kilgour, Gutmann and Matas report as well as journal articles found in the peer-reviewed literature. Review information gathered by the World Organization to Investigate the Persecution of Falun Gong (WOIPFG) from phone calls to Chinese hospitals and organ procurement organizations since 2015 that reveal ongoing transplant abuses. The 2017 Freedom House Report and the Peabody Award winning documentary film Human Harvest both provide additional sources of verification. Do not accept on blind faith the fallacious arguments and empty promises promulgated by Chinese officials as fact. Expansion of China’s transplant industry is ongoing with substantial investment in infrastructure of hospital facilities and training of surgical staff. Such expenditures would never be risked if confidence did not exist in an ongoing plentiful and readily available supply of transplantable organs for the foreseeable future. Juxtapose the confidence demonstrated by this growth with the paucity of people who have actually signed up as organ donors, whose organs may not be available until death occurs decades from now. Low voluntary donation rates from families of patients dying in intensive care units or those killed in motor vehicle accidents continue to be the norm. Inadequate countrywide coordination of organ procurement organizations results in wastage of organs due to insufficient communication and slow transport. What is the explanation for the parallel rise in transplant medicine and the persecution of Falun Gong? What justifies the blood testing and medical evaluation of vital organs of hundreds of thousands of prisoners of conscience held in detention while they were being subjected to unspeakable torture? There is enough evidence to conclude, beyond a shadow of a doubt, that prisoners of conscience, primarily Falun Gong practitioners, are being systematically vivisected for their organs. If such conclusive evidence were presented in a murder trial, the jury would return a unanimous decision against the accused. Use medicine’s evidence based approach to examine both the real and the circumstantial evidence of China’s state supported transplant industry. Act on the evidence, not the hearsay. After examining the tomes of existing evidence, pass down with confidence the verdict: guilty as charged. DAFOH is founded and organized by medical doctors of various specialties from all over the world. Membership is free. Doctors Against Forced Organ Harvesting (DAFOH) aims to provide the medical community and society with objective findings of unethical and illegal organ harvesting. Organ harvesting, the removal of organs from a donor, without free and voluntary consent, is considered a crime against humanity, as well as a threat to the integrity of medical science in general. This edition of our newsletter offers up-to-date information on international efforts to stop unethical organ harvesting.